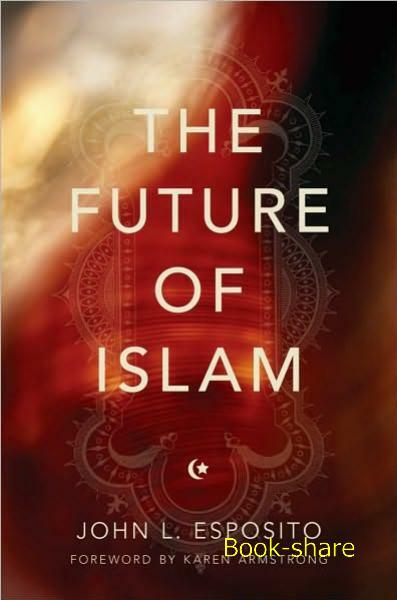 This March, Oxford University Press will publish The Future of Islam by John L. Esposito (Georgetown University). The publisher’s description follows. John L. Esposito is one of America’s leading authorities on Islam. Now, in this brilliant portrait of Islam today–and tomorrow–he draws on a lifetime of thought and research to sweep away the negative stereotypes and provide an accurate, richly nuanced, and revelatory account of the fastest growing religion in the world. Here Esposito explores the major questions and issues that face Islam in the 21st century and that will deeply affect global politics. Are Islam and the West locked in a deadly clash of civilizations? Is Islam compatible with democracy and human rights? Will religious fundamentalism block the development of modern societies in the Islamic world? Will Islam overwhelm the Western societies in which so many Muslim immigrants now reside? Will Europe become Eurabia or will the Muslims assimilate? Which Muslim thinkers will be most influential in the years to come? To answer this last question he introduces the reader to a new generation of Muslim thinkers–Tariq Ramadan, Timothy Winter, Mustafa Ceric, Amina Wadud, and others–a diverse collection of Muslim men and women, both the “Martin Luthers” and the “Billy Grahams” of Islam. We meet religious leaders who condemn suicide bombing and who see the killing of unarmed men, women, and children as “worse than murder,” who preach toleration and pluralism, who advocate for women’s rights. The book often underscores the unexpected similarities between the Islamic world and the West and at times turns the mirror on the US, revealing how we appear to Muslims, all to highlight the crucial point that there is nothing exceptional about the Muslim faith. Recent decades have brought extraordinary changes in the Muslim world, and in addressing all of these issues, Esposito paints a complex picture of Islam in all its diversity–a picture of urgent importance as we face the challenges of the coming century. As a grad of St. John’s, MA in Theology in 1967, I appreciate this review.